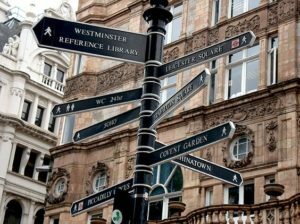 Calling all the London tourists that don’t want to overspend!! If you are thinking of visiting London, you probably already heard of how expensive London is, and that’s true! 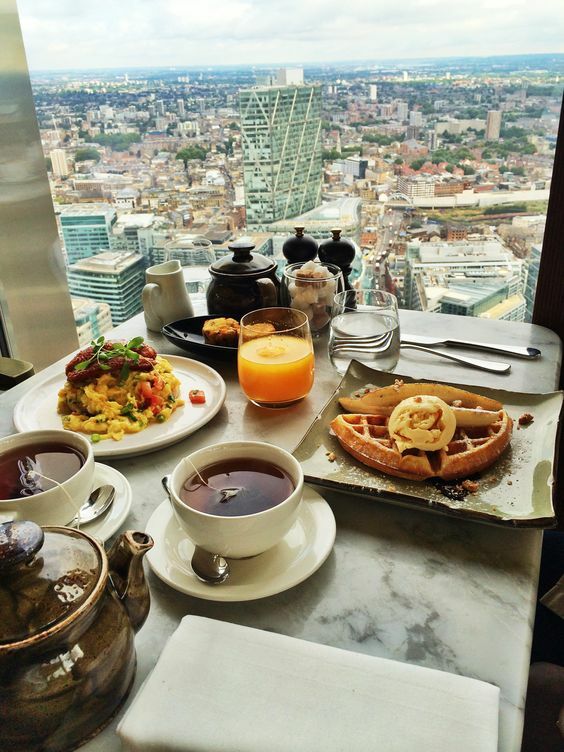 Besides the free museums, pretty much everything in London is quite expensive, including the restaurantes. So if you are not careful, it is very easy to overspend. 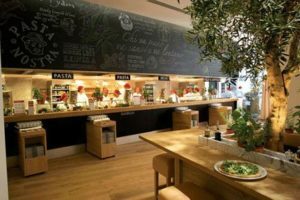 Vapiano is an Italian restaurante. It is definitely not a fast food restaurant, although it has some of the characteristics of fast food restaurants. Fot example: You are given a card when you enter and you have to use it to order your food at the till. The food is made in front of you and you have to wait for it to be ready to then take it on a tray to your table. But I promise you the food tastes nothing like fast food! 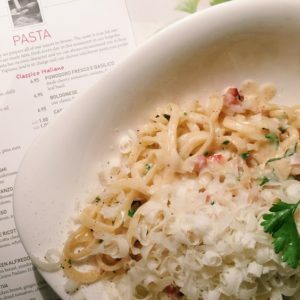 I actually have friends that have visited from Portugal, that can’t stop thinking about Vapiano’s food and can’t wait to go back. 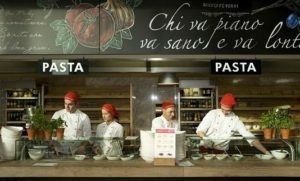 In Vapiano you can find all sorts of Italian food: Pasta, risotto, pizzas, salads, etc…And it is all super tasty, big portions and very affordable. The mains are usually between £7 to £9 (and believe me you will not be hungry if you only eat a main), and the bread is free. To drink you can have the regular soft drinks, but you can also serve yourself with tap water as many times as you want, so you don’t even have to spend any extra money if you are happy with just having water. 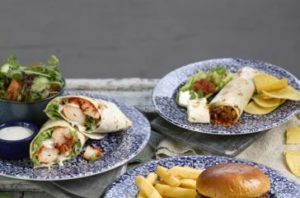 Weatherspoon is a national chain across the whole of UK & Ireland with award winning pubs and hotels. Each pub has a different name, so you will have to be on the lookout for them. The pubs from this chain are well decorated, incredibly huge, the food is super tasty and there is a lot to choose from. They are also super affordable when compared to other pubs. You can choose from set menus that already include sides and drinks, and most of them are around £9. The menu also contains dietary information, which can be very useful. You can choose from many different types or burgers, the classic fish and chips, but also other typical British foods and more. 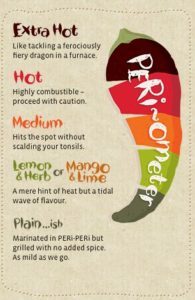 In Nando’s you can find the typical Portuguese grilled chicken, and many variations of it. Similar to Vapiano, you also need to order at the till, the difference is that they will bring the food to your table. 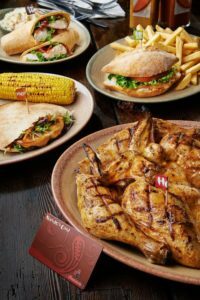 You can order a quarter of chicken, half a chicken or a whole chicken, and if you order well, you can easily spend less then £10. You also have a good list of sides, starters and desserts to choose from, but be careful because that is when the bill gets heavier. You can also just order some tap water to save some £. I can assure you the food is super tasty and the portions generous. You are also served very quickly, which is great when you can’t wait to continue exploring the city. 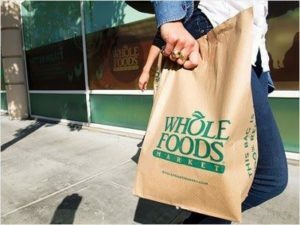 Whole Foods Market is actually a store, kind of like a supermarket but of healthier food. The thing is that they also have ready made meals that you can buy and pay depending on weight. They sell proper main dishes, but also salads, pizza, cakes, sandwiched, juices, etc.. They also have sitting areas where you can sit and enjoy the meal you just bought from them. 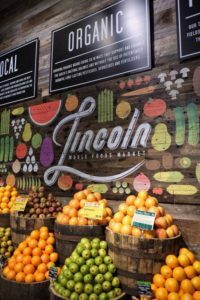 The Whole Foods Market is a great place to go for variety and for healthier choices. The price obviously depends on what you pick but it is definitely possible to have a meal for less then £10. 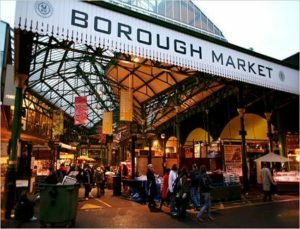 London is known by it’s markets. You can find all different kinds of street markets literally everywhere. Some only open on weekends, others only once a month, and others are open everyday! You almost don’t have to look to stumble on one of them. Street markets are a great place to eat without overspending. 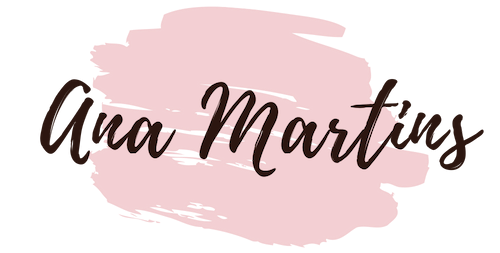 There is always a good variety os different cuisines that you can try, and most of them even let you try a little bit in case you are not sure if you like it. Also, most street markets (but not all) have a sitting area as well, so you don’t have to eat standing up or whilst walking. 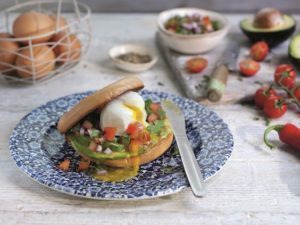 These are great places to try new types of food, from different places of the world, and with good portions and prices. 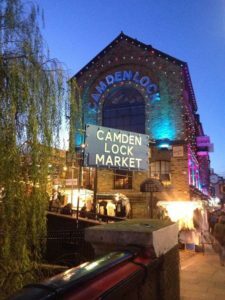 Visit this website to discover the Top 12 Markets in London. 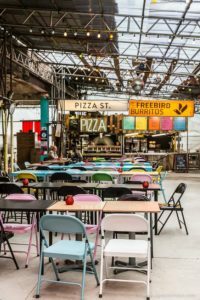 I hope your enjoyed this article and that you will try all of these amazing places to eat when you next visit London! Travel to Cyprus – Amazing Summer Holidays! I strongly recommend White Cross market if you are close to Barbican Centre/Old Street. The food there is amazing and even cheaper than in most London street food markets because it mostly caters to businessmen working around that area. OMG thank you so much! I will be visiting in the near future and this will definitely come in handy. One of my favorite things to do on vacation is to find local, cheap foods to eat. I went to New York about a month ago with friends and we spent an afternoon eating small, cheap snacks. It is the best way to try multiple local foods without going completely broke.